New Order is a shelving system by Stefan Diez that offers numerous configuration possibilities and is characterised by its functional extensibility. 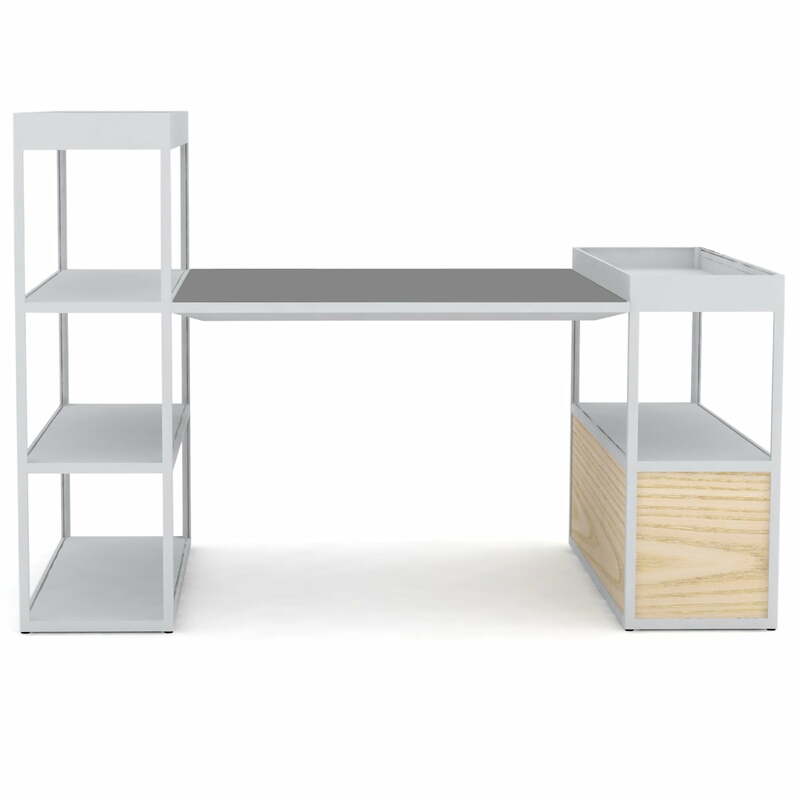 One of these modular solutions is the shelving unit with integrated table, since it offers storage space in the work room as well as in the kitchen. 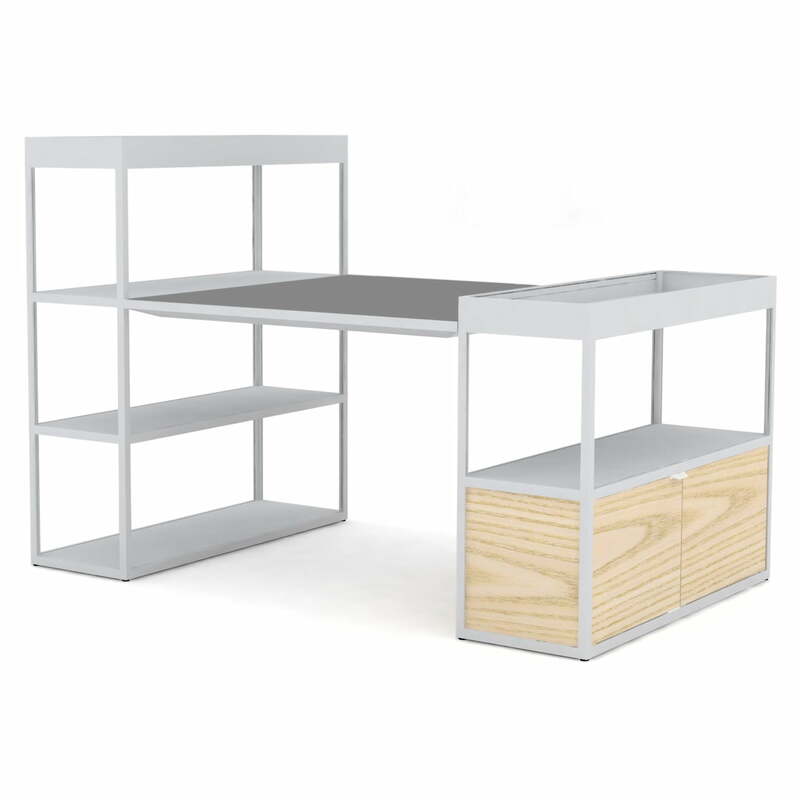 As part of a modular office system, the table and shelves can be arranged in such a way that a comfortable workspace can be created even in the smallest of rooms. The New Order shelving system is popular, especially in offices and conference rooms, since the modules can be continuously extended to form an entire workstation island with plenty of storage space. The aluminium profiles are available in different colours and can be supplemented with compartments, tabletops and other modules, as needed. Step by step assembly of the New Order Shelving System by HAY. The wooden panels can be added effortlessly at any time and without any tools. The same applies to the doors, which are simply clipped on. Isolated product image of the New Order shelves with table by Hay in light grey / green linoleum. The New Order Shelves feature a table in light grey and green linoleum. 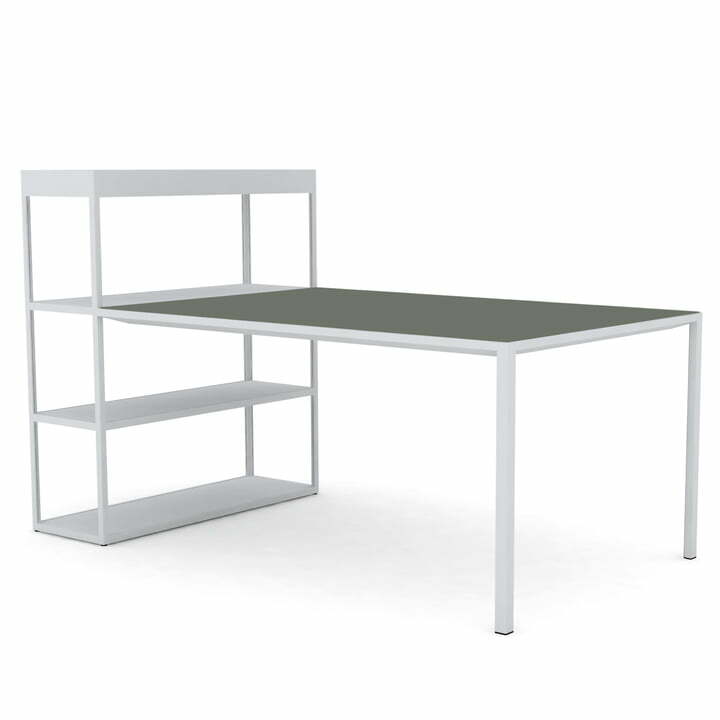 Isolated product image of the Hay - New Order Shelves with Table, light grey / grey linoleum with ash doors The shelving unit features a table and a shelves with ash wood doors. 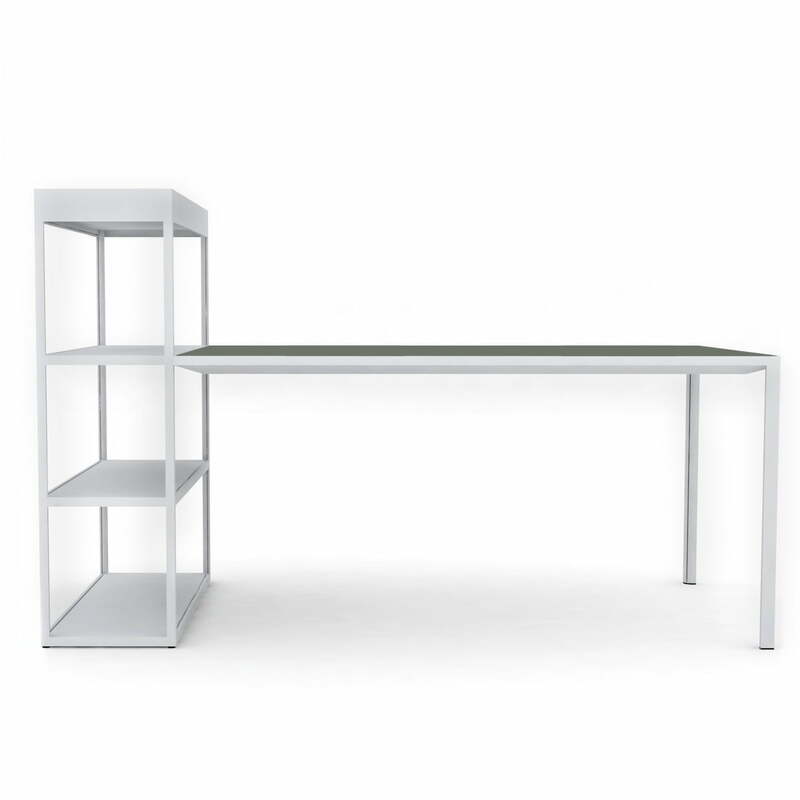 New Order Shelves with Table by Hay: The New Order Shelves with Table is a shelving system with an integrated table, which offers numerous configuration possibilities.